What Makes Ambergris Caye a Top Spot for Travelers? Belize is a popular spot for travelers because of its proximity to North America, its incredible climate, its beautiful beaches and the affordable cost of living and traveling throughout the region. Despite so many different and unique spots in Belize to choose from, Ambergris Caye still stands out as a highlight of the country. Find out what makes Ambergris Caye such a special destination and a must-visit spot on any traveler's itinerary. Although there are certainly plenty of ways to pass the time onshore, many of the biggest reasons to visit Ambergris Caye take place out in the water. Less than one mile from Ambergris Caye is the Barrier Reef, the second largest reef in the entire world. This means that snorkeling and scuba diving are truly phenomenal underwater pastimes, as is deep-sea fishing or sea kayaking. Places like the Great Blue Hole, where divers can go up to 400 feet underwater, or Shark Ray Alley, where visitors can feed sharks in a safe environment, are huge draws for tourists seeking an adventure in Belize. Of course, it is also possible to spend the morning walking on a sandy beach or enjoying a picnic in a quiet secluded bay, but there is no doubt that the gorgeous ocean always plays a role. Another reason that Ambergris Caye is such an appealing destination for travelers has to do with its topnotch amenities and facilities. Although the culture, cuisine and scenery can make Belize feel like a world away from your own, Ambergris Caye still provides all the basics that you need to feel at home. Wireless Internet access, cable television, cell reception to call home at a moment's notice, international banks and ATMs, medical facilities with English-speaking staff and a secure environment ensure that you can feel completely comfortable when on vacation. To top it all off, places like the Grand Baymen on Ambergris Caye provide resort-style amenities like the San Pedro Fitness Club, onsite beachfront restaurants and even piers and marinas to bring adventure right to your doorstep. Even if you're all about relaxing on the beach or enjoying outdoor recreation, you'll still appreciate all that San Pedro Town, the only large city on Ambergris Caye, has to offer visitors. In what was once a small fishing village, there is now a major tourism industry, and both English and Spanish are widely spoken. You can explore the city, visit major historical attractions, do some souvenir shopping, enjoy a little live music or just kick back with a drink and make some new friends. All of Belize boasts an incredible culture that is both exotic and welcoming. However, Ambergris Caye stands out for making the rich heritage in Belize so accessible to visitors. During even a short stay on Ambergris Caye, you can listen to live local music in a small bar, watch an impromptu dance performance on the street and dig into some truly authentic local cuisine. Museums, art galleries and more complete your cultural experience on Ambergris Caye. While Belize is home to a number of incredible travel destinations for visitors, there is no question that Ambergris Caye stands out as a top pick. Thanks to all the comforts of home, topnotch amenities, a vibrant culture and seemingly unlimited water-based activities, Ambergris Caye is a wonderful place to enjoy a vacation. 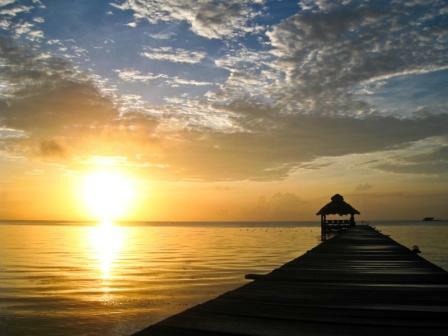 Find out more about vactioning or living in beautiful Belize.